Weight, measure or count of a product. Buyer and seller of the product. Date of the quantity determination. Identification of the container holding the commodity. Signature of the deputy weighmaster who determined the quantity certifying to the contents accuracy. The certificate is used to buy or sell the product represented on the certificate, or to charge for a service based on the weight or measure on the certificate. 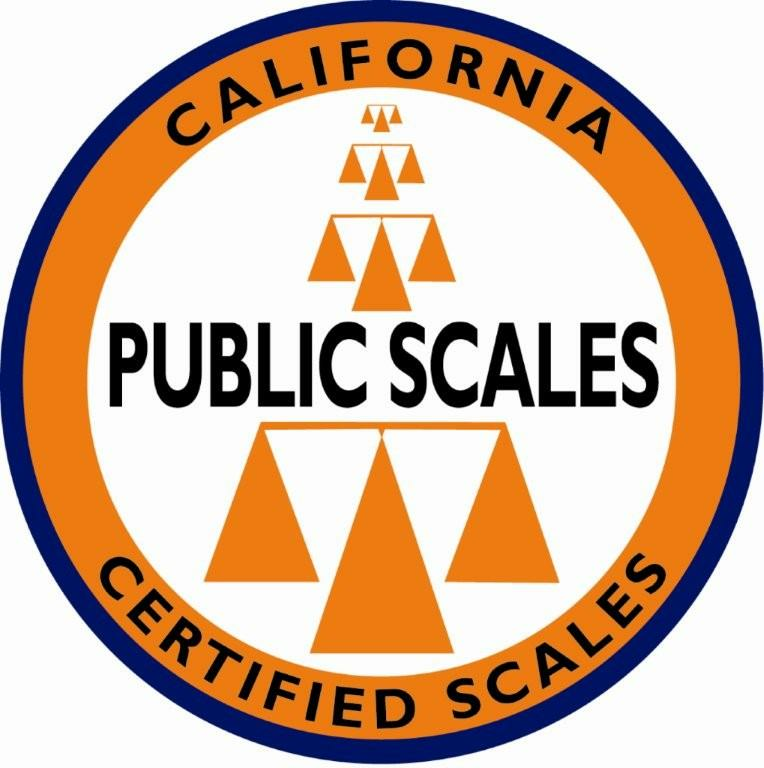 How often do Weights and Measures Officials inspect commercial scales? Usually once a year. You may contact your individual County Weights and Measures office for their schedule. When I purchase a product that needs to be weighed, how do I know if the scale used by the vendor is accurate? How does the Weighmaster Enforcement Program verify that weighmasters are issuing accurate certificates? The program investigators audit weighmaster records. They also do undercover buying and selling of products that are weighed or measured by weighmasters. What kind of products are weighed or measured by a weighmaster? Everything from bulk agricultural products to rock, sand, gravel, cement and landscaping products. Also scrap metal, fish from commercial fishing boats, timber, and household goods. Why is the Weighmaster Enforcement Program important to the consumer? The Program works to make sure that the weights or measures of bulk products purchased by consumers and sold by businesses are accurate. Over 78 billion dollars worth of products or services is changing hands annually based on the weights or measures found on weighmaster certificates. How do I file a complaint if I think I have been overcharged due to inaccurate scales? Contact your local county Department of Weights and Measures. 35550. (a) The gross weight imposed upon the highway by the wheels on any one axle of a vehicle shall not exceed 20,000 pounds and the gross weight upon any one wheel, or wheels, supporting one end of an axle, and resting upon the roadway, shall not exceed 10,500 pounds. (b) The gross weight limit provided for weight bearing upon any one wheel, or wheels, supporting one end of an axle shall not apply to vehicles the loads of which consist of livestock. (1) The load limit established by the tire manufacturer, as molded on at least one sidewall of the tire. (2) A load of 620 pounds per lateral inch of tire width, as determined by the manufacturer's rated tire width as molded on at least one sidewall of the tire for all axles except the steering axle, in which case paragraph (1) applies.